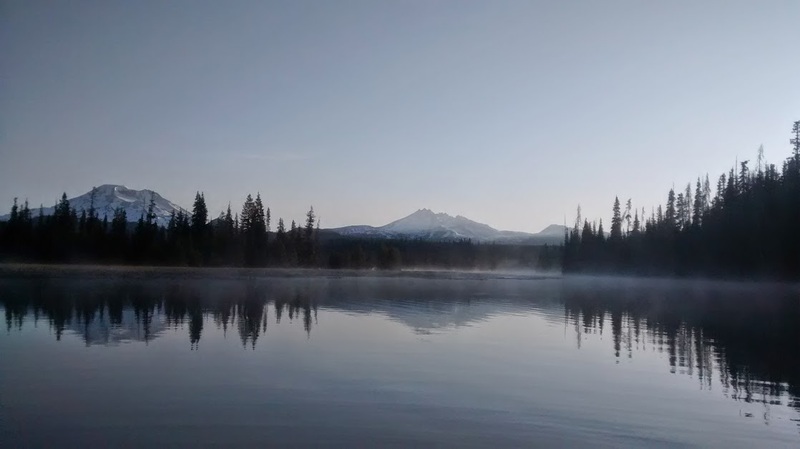 This past Sunday I did a “dawn patrol” up on Hosmer Lake. Although the fishing was slow at first, the views were quite amazing. 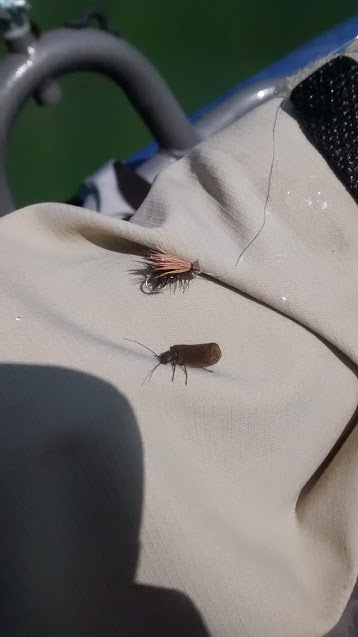 Eventually as the temps warmed many fish came to hand – and I had some help matching the hatch too. This Elk Hair Caddis fooled a 16″ Atlantic Salmon 3 times.